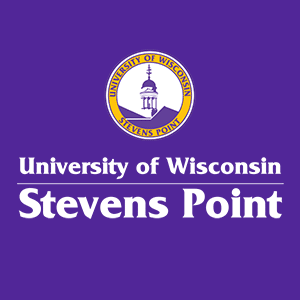 The School of Health Care Professions at the University of Wisconsin-Stevens Point is in preliminary planning for a Doctor of Physical Therapy (DPT) program. The planning process will require several approvals, including the Higher Learning Commission and the Commission on Accreditation in Physical Therapy Education (CAPTE). The program cannot begin accepting students until all approvals have been granted. With this FAQ page, we seek to inform stakeholders regarding our planning process and the timeline for our planned DPT. What steps have been taken to explore the DPT at UWSP? The UW System Board of Regents approved the DPT at the December 2018 meeting. This allows the program to move forward with planning for the DPT program. The program submitted a Notice of Intent to Seek Accreditation of a DPT program to the Commission on Accreditation in Physical Therapy Education in December. This notice includes a needs assessment that outlines why a DPT at UW-Stevens Point is the right program at the right time. The DPT program has established an Advisory Board consisting of people from the local and regional practicing community, physical therapy educators, and faculty and staff from UW-Stevens Point. Our first project is to translate our vision and goals into admissions policies. We welcome your thoughts as we continue to shape the program. If you would like to be involved in any of our processes, please join our mailing list below as we will invite community members through that resource. We are also in the process of listening to our community to understand the needs of our practicing physical therapists. If you would like to share your thoughts on post-professional education in the region, please contact Kathy Zalewski, PT, Ph.D., MPA, and we will schedule a time to visit your clinic for a brainstorming session. What is the timeline for next steps? The next approval for the DPT program will be with the Higher Learning Commission. The program plans to submit an Application for Approval of Substantive Change to the Higher Learning Commission in January 2019. If you would like information on the submission to HLC, please contact Kathy Zalewski, program consultant, and she will share information about the submission. Provide feedback about your thoughts and plans for the DPT program. Contact Kathy Zalewsk to have her come and speak with your staff. We are gathering information on the needs/goals of the community from a variety of resources. Join our mailing list. Our electronic mailing list will provide updates to program development and be the first opportunity for participating in ongoing and future development opportunities. I am a current student, what does this mean for me? Because we are very early in our planning process, students should not anticipate a program available at UW-Stevens Point. UWSP undergraduate majors prepare students for admission into graduate programs offering the Doctor of Physical Therapy degree, which is the degree required to become a physical therapist. For additional information on opportunities at UWSP visit the health science major webpage.